Oklahoma Connection | Shirk was born in Oklahoma City. George Shirk worked with the Oklahoma Historical Society for 20 years. 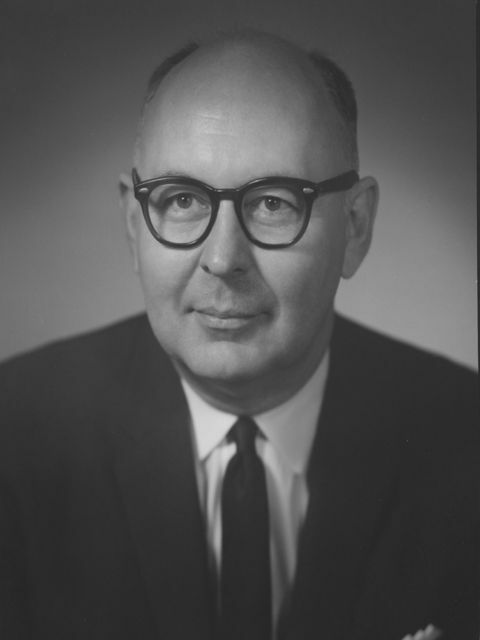 He was on the committee to select locations for the first Oklahoma Historical Marker Program; prepared the text for about half of the markers; and became president of the Society in 1958. Oklahoma native George Shirk graduated from Oklahoma City’s Central High School (1930) and received degrees from the University of Oklahoma (1935 & 1936). He returned to Oklahoma City to practice law and served in the Army during World War II, where he earned the Legion of Merit, Bronze Star, the Croix de Guerre, and was a Chevalier of the French Legion of Honor. Among his many contributions to Oklahoma City was his work with police affairs, the Greater Oklahoma City Safety Council, United Fund, and the Community Council. He also served as the city’s mayor and was named a “Pathmaker” by the Oklahoma County Historical Society in 1991. See pictures of George H. Shirk and other media HERE.